Chick-fil-A's classically trained head chef shares his favorite big game recipes. When it's time for kick-off during the biggest football game of the year, the last thing you want to be doing is cooking away in the kitchen while your guests are cheering in the other room. Besides not knowing whether the first down was a result of a run or pass, think of all the funny, cute, witty, endearing and jaw-dropping commercials you may be missing. A little prep work and the perfect recipe can save you from spending all your time in front of the stove rather than the television. But what to make? We’ve settled on two perfectly appropriate categories for the occasion—those that come in soup form and those that are served in bowls (Yes, perhaps there’s some overlapping there). Check out our five soup or bowl football fan-favorites below. You’ll have plenty of time to prepare these and decide which beloved jersey you want to wear—whether it’s blue and yellow or navy and red. 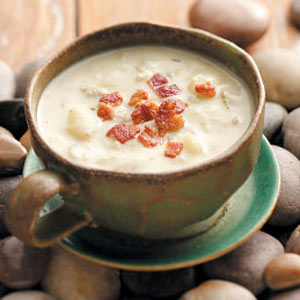 Nothing quite says northeast comfort food like a bowl of New England Clam Chowder. This contest-winning recipe takes less than an hour to prep and cook, so you’ll be ready for your guests in no time. View the recipe from Taste of Home here. We went to one of our in-house tastemakers for another all-pro recipe, Roasted Tomato Soup. 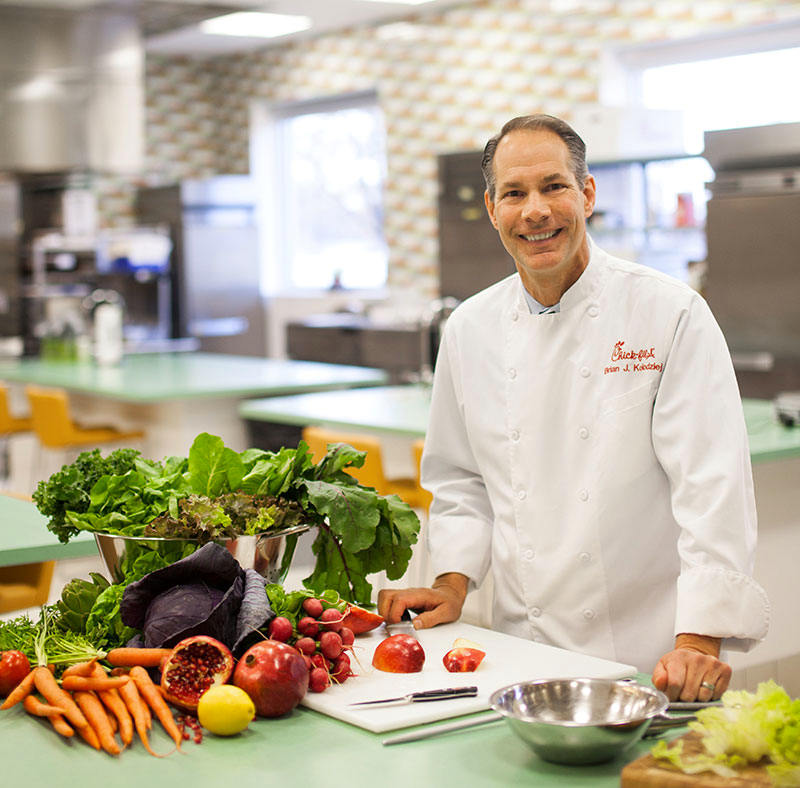 We asked Chick-fil-A head Chef, Brian Kolodziej for his favorite food to make. Chef Brian, classically trained in Culinary Arts at Johnson and Whales University, shared his favorite big game recipe that he says any at-home cook can master! View the recipe from Chef Brian here. 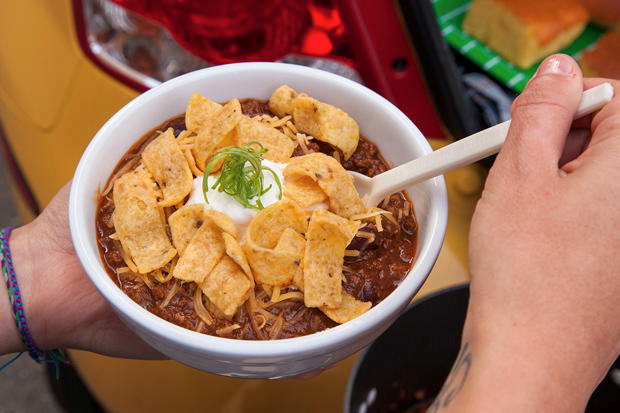 Michael Mina, chef and avid football fan, shares his recipe for the perfect mix of warm comfort food and hearty tailgate food: Rocky Mountain Chili. This dish improves in flavor as it sits, so feel free to make it ahead and spend the hour before guests arrive on other tasks—such as finding enough seating for everyone in your living room. View Michael’s chili recipe here. This 3-ingredient dip will certainly be the most visited bowl on the table. Accompanied by some tortilla chips, the spicy cheese dish will make every appetizer-lover’s dreams come true—and it can be cooked in under an hour! Check out the recipe here. 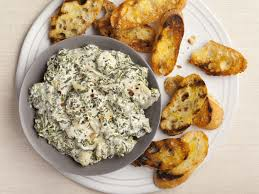 Get a serving of healthy vegetables and satisfy everyone’s snack craving with a bowl of Spinach and Artichoke Dip from chef Alton Brown. An easy recipe with a combined prep and cook time of fifteen minutes, you can make this thing with your eyes closed…almost. Find Alton’s recipe here. For those of you who fear the kitchen more than a blitzing linebacker—we have the perfect solution: a nugget tray from Chick-fil-A. Not only are they the perfect tasty treat, they are a no-mess finger food that will make cleanup after the fourth quarter easy. Make sure to place your order and pick up Saturday (We are closed on Sundays). Refrigerate the tray and heat up prior to your guests’ arrival. Voilà!